A personal project that took on a life of its own. When I first got into creating content, I was trying to figure out a process for visualising data. As part of my research, I started to wonder what the difference was between data and information. 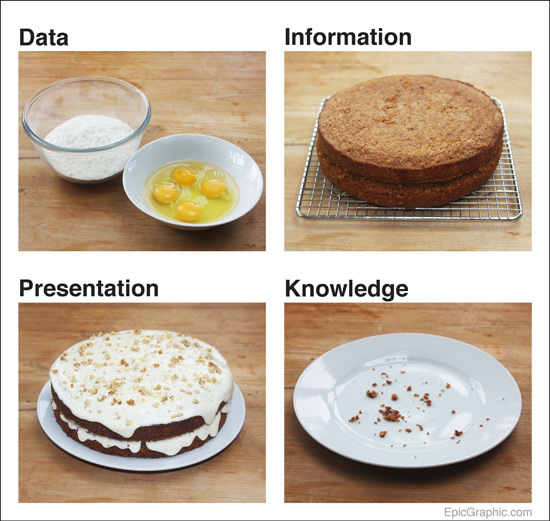 This led me to the idea for data cake. The metaphor seemed to strike a chord. It has been used in presentations in universities, government organisations, and even the OECD. 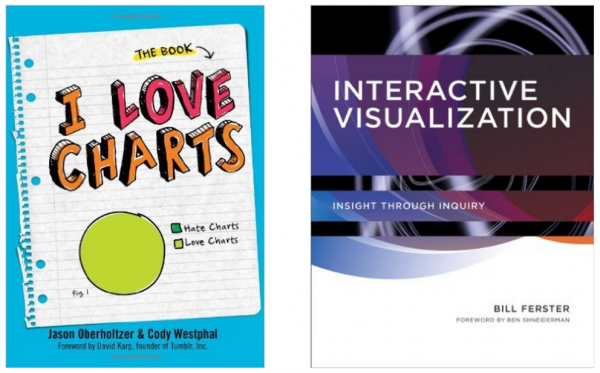 It has gone into print twice – once in the intro section of I Love Charts (the book by the popular Tumblr blog), and again in an MIT textbook about interactive visualisation. A debate ensued on FlowingData in which the site’s visitors argued the merits of the metaphor (I didn’t get involved). This was the first thing I made that received attention online. It was a pretty pleasing result for something that took 4 hours to make one Sunday afternoon (including baking the cake). When people started tweeting about it, I got up every hour that night to follow its progress online. I’d had my first taste.